We knew we were close when the noise of the car was overtaken by the sound of bleating goats. Suddenly, we stopped near a makeshift gate that enclosed a dirt field. 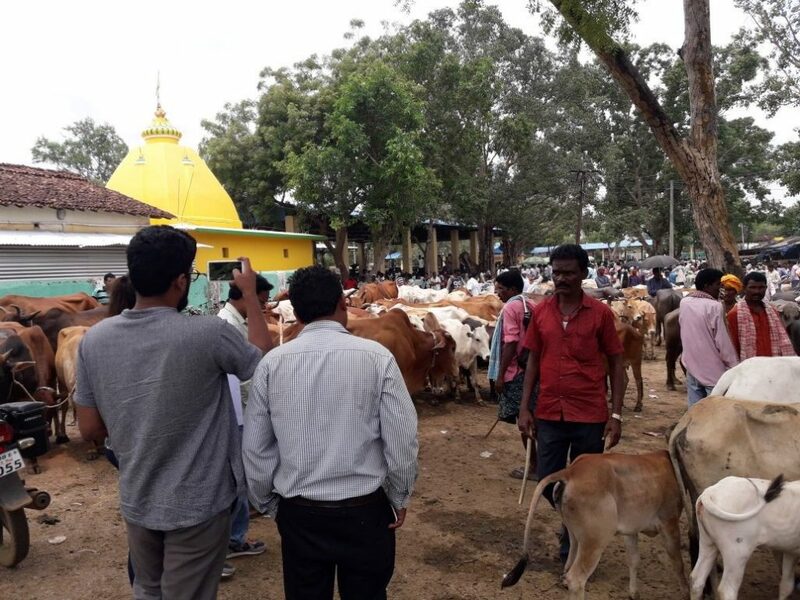 “This is it,” said my colleague, Naveen Sridhar Kottayil, at the sight of throngs of animals approaching the gates, “This is the Dharamgarh Livestock Market.” At about 2:00 p.m., the livestock market was bustling. There were buffalo, goats, sheep, and what appeared to be about a hundred men. Our main purpose for visiting the Dharamgarh market in Kalahandi, Odisha, was to interview goat sellers and buyers. We wanted to get unfiltered, first-hand information about how the goat market system worked. For our visit, we were fortunate to have the Secretary of the Regional Marketing Committee (RMC) of the Junagarh Block and a CARE livestock specialist accompanying us. 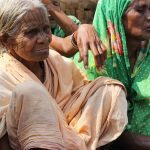 They were essential in helping us talk with the various goat sellers and buyers, and in translating from Oriya, the local dialect, to Hindi and English. Our shared interest for visiting Dharamgarh Market was to gather information that could help TARINA better understand the goat-rearing practices of the Kalahandi district of Odisha. We set a goal to interview at least one local seller and one large-scale goat trader. Instead of finding a seller from a local village, we spoke with a middleman, someone who facilitates the transaction between two people. His occupation consisted of visiting about three to four villages daily to buy goats. On this day, he had four castrated bucks with him. 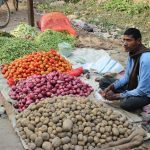 He informed us that he had bought them for roughly Rs10,000 each and that he was looking to resell them for at least Rs16,000 each. 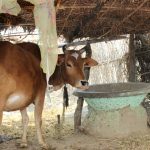 Although there are various breeds of goats in Odisha, the middleman stated that his favorite is the black Bengal breed, informally known as the Desi breed. Even though the black Bengal is smaller than hybrid breeds, he explained that its meat is tastier, when cooked, and its market value is higher. Our most important question was about how he calculated the price of the goats. 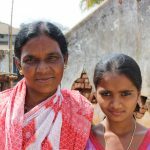 From our previous interviews in local villages, we had been told that middlemen do not use scales or any measuring devices. This middleman told us the same; he explained that he gauges the value of an animal by grabbing a handful of back meat. By doing so, he can estimate how healthy the goat is and its meat volume. As the middleman was sharing this valuable information, other goat sellers gathered nearby to also share their expertise. They validated what the middleman was saying and added that sometimes, they will physically lift the goat to estimate the goat’s weight. After speaking with the middlemen, we were able to connect with a large-scale trader who was standing nearby. He informed us that he normally frequents this market and that he was looking to buy about 30 to 40 goats. As he showed us the large white truck that he uses to transport the goats, he explained that he buys the goats to later resell at larger markets. Similar to the middleman, the trader also said that his preferred breed was the Desi breed. Through this experience, we were able to gain knowledge that was not otherwise available to us. Despite my conjecture that goat sellers and buyers would prefer the taller and larger hybrid breeds, they taught me that, in fact, Desi breeds are preferred because of their tastier meat. I also learned that the people who visit the livestock markets are normally middlemen, not direct sellers from local villages. Also, these middlemen frequent at least three to four different markets a week to sell the goats that they purchase from the villages. The information that the middlemen and traders shared was very enlightening. Not only were they friendly, but they were also open and willing to talk about their goat business, their tricks of the trade, and their experiences. human rights and social justice. 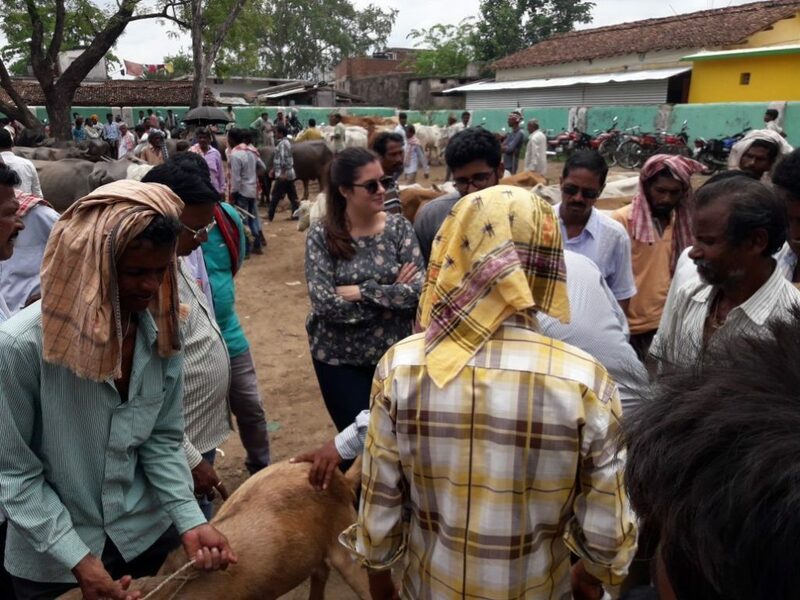 This summer Sarah served as a Tata–Cornell Summer Graduate Intern, conducting process documentation of TARINA’s promotion of the goat-rearing project in Bihar and Odisha, India.